What's the Point... & Click? As a game goes, Murder barely counts. I got more interaction watching House, M.D. on DVD by pressing play between each episode than I did playing this. In reality, I would've much rather have paid 99¢ to watch this as a small cyberpunk short film instead. 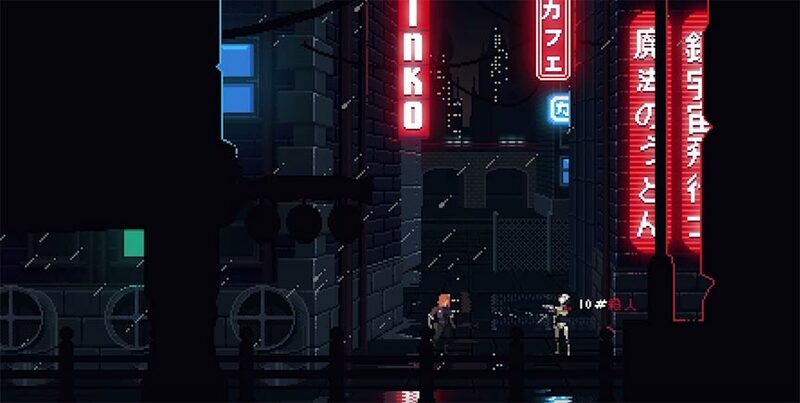 There's a few decent characters, the voice acting was good, and it presents a beautifully rendered world with its Neo Tokyo, evoking a sense of the dark and gritty realms we've come to know from the genre. But that's where the good ends. Making the lack of interactivity worse is the threadbare plot and it's 20 minute play time. The plot isn't remotely new if you've ever seen anything like I, Robot- based, very loosely, on the book of the same name by the great Isaac Asimov- but it is an age-old sci-fi staple so worn and predictable that I had an idea of how it was going to end even before pressing start. There's apparently nothing new in Neo Tokyo. 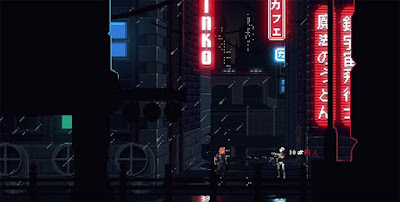 No new philosophic thoughts, no new take on artificial intelligence, and when Peter Moorhead claimed he was sticking to the hard-boiled influences of cyberpunk masters Masamune Shirow and Katsuhiro Otomo, I thought he was going to use more than just the leftover bits of shell. The whole last third of the game is nearly the same as the second, and felt like it was added on merely to stretch the run time out just a bit longer. As it is, Murder seems like it should've been used as the opener for a full game. Normally I wouldn't complain about a game's brevity, in this case, it's the video game equivalent of a flash fiction story, but there is not only nothing to the story in Murder, there really isn't much game to it either. Both aspects are as shallow as could be here making it seem like the skeleton of something much larger. You'll get more action and entertainment out of physically turning the pages of one of Masamune Shirow's Ghost in the Shell graphic novels, or hell, even tapping the screen of an E-book of one, so go read one of those instead. At least those stories are truly fleshed out and far more interesting to read.